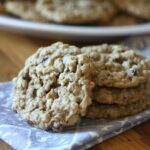 As I sit here writing this post, I’m trying to think of a single time in my life when I’ve turned down an oatmeal cookie. There’s just something about the chewy oats, the rich brown sugar and the butter. Despite my love of oatmeal cookies, I’m a bit of a purist. I almost always choose plain oatmeal or oatmeal raisin. Around the holidays that might turn into a cranberry white chocolate combination, but an oatmeal chocolate chip? Somehow that just never appealed to me, until now. My husband requested oatmeal chocolate chip cookies this past weekend and these cookies were the result of that craving. They disappeared lightning fast and the whole family enjoyed them. And I would gobble these down in an instant!!! YUM!!! Who can resist a stack of cookies? 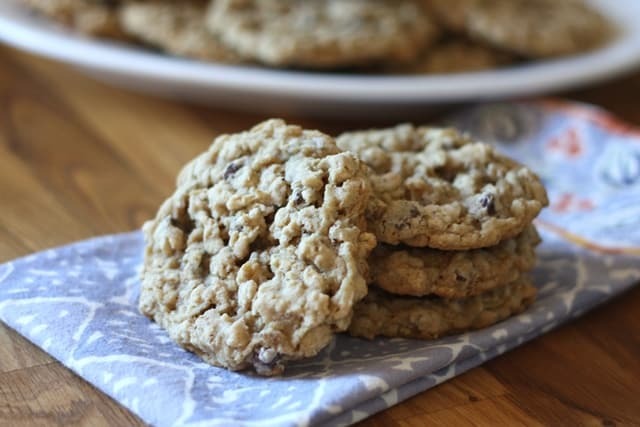 I'm gearing up for cookie season, and chocolate chip oatmeal are one of my favorites. Oatmeal cookies are so homey and make me think of my mom. Yum! These sound great with chocolate chips. I always used butterscotch chips - a personal favorite! They are my favorite type of cookie, that's for sure. Chocolate chips, raisins, it doesn't matter, I will eat them! 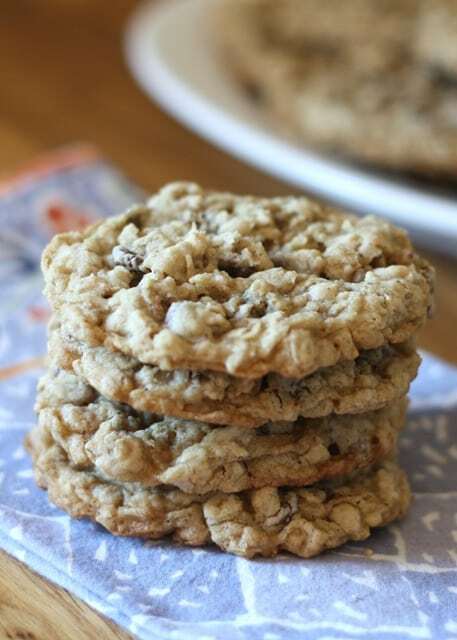 Oatmeal cookies would be my first choice even if they are totally plain! These were delicious! This one's getting written down in my recipe book, and only a very select few get that honour. :) Thanks for the recipe! 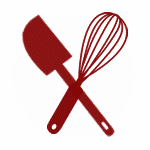 Could I use cassava flour instead of the brown rice flour and tapioca starch? I'm thrilled that you enjoyed the cookies, Soraya!